The RP Photonics Buyer's Guide contains 119 suppliers for lasers. Ask RP Photonics for advice on any aspect of lasers. You may also profit from in-house training courses, tailored to your needs. “Laser” is an acronym for “Light Amplification by Stimulated Emission of Radiation”, coined in 1957 by the laser pioneer Gordon Gould. Although this original meaning denotes an principle of operation (exploiting stimulated emission from excited atoms or ions), the term is now mostly used for devices generating light based on the laser principle. More specifically, one usually means laser oscillators, but sometimes also includes devices with laser amplifiers. The first laser device was a pulsed ruby laser, demonstrated by Theodore Maiman in 1960 [2, 3]. In the same year, the first gas laser (a helium–neon laser ) and the first laser diode were made. Before this experimental work, Arthur Schawlow, Charles Hard Townes, Nikolay Basov and Alexander Prokhorov had published ground-breaking theoretical work on the operation principles of lasers, and a microwave amplifier and oscillator (maser) had been developed by Townes' group in 1953. The term “optical maser” (MASER = microwave amplification by stimulated amplification of radiation) was initially used, but later replaced with “laser”. It is usually emitted as a laser beam which can propagate over long lengths without much divergence and can be focused to very small spots. It can have a very narrow optical bandwidth, whereas e.g. most lamps emit light with a very broad optical spectrum. It may be emitted continuously, or alternatively in the form of short or ultrashort pulses, with durations from microseconds down to a few femtoseconds. These properties, which make laser light very interesting for a range of applications, are to a large extent the consequences of the very high degree of coherence of laser radiation. The articles on laser light and laser applications give more details. A laser oscillator usually comprises an optical resonator (laser resonator, laser cavity) in which light can circulate (e.g. between two mirrors), and within this resonator a gain medium (e.g. a laser crystal), which serves to amplify the light. Without the gain medium, the circulating light would become weaker and weaker in each resonator round trip, because it experiences some losses, e.g. upon reflection at mirrors. However, the gain medium can amplify the circulating light, thus compensating the losses if the gain is high enough. The gain medium requires some external supply of energy – it needs to be “pumped”, e.g. by injecting light (optical pumping) or an electric current (electrical pumping → semiconductor lasers). The principle of laser amplification is stimulated emission. Figure 1: Setup of a simple optically pumped laser. The laser resonator is made of a highly reflecting curved mirror and a partially transmissive flat mirror, the output coupler, which extracts some of the circulating laser light as the useful output. The gain medium is a laser crystal, which is side-pumped, e.g. with light from a flash lamp. A laser can not operate if the gain is smaller than the resonator losses; the device is then below the so-called laser threshold and only emits some luminescence light. Significant power output is achieved only for pump powers above the laser threshold, where the gain can exceed the resonator losses. If the gain is larger than the losses, the power of the light in the laser resonator quickly rises, starting e.g. with low levels of light from fluorescence. As high laser powers saturate the gain, the laser power will in the steady state reach a level so that the saturated gain just equals the resonator losses (→ gain clamping). Before reaching this steady state, a laser usually undergoes some relaxation oscillations. The threshold pump power is the pump power where the small-signal gain is just sufficient for lasing. Some fraction of the light power circulating in the resonator is usually transmitted by a partially transparent mirror, the so-called output coupler mirror. The resulting beam constitutes the useful output of the laser. The transmission of the output coupler mirror can be optimized for maximum output power (see also: slope efficiency). Some lasers are operated in a continuous fashion, whereas others generate pulses, which can be particularly intense. There are various methods for pulse generation with lasers, allowing the generation of pulses with durations of microseconds, nanoseconds, picoseconds, or even down a few femtoseconds (→ ultrashort pulses from mode-locked lasers). The optical bandwidth (or linewidth) of a continuously operating laser may be very small when only a single resonator mode can oscillate (→ single-frequency operation). In other cases, particularly for mode-locked lasers, the bandwidth can be very large – in extreme cases, it can span about a full octave. The center frequency of the laser radiation is typically near the frequency of maximum gain, but if the resonator losses are made frequency-dependent, the laser wavelength can be tuned within the range where sufficient gain is available. Some broadband gain media such as Ti:sapphire and Cr:ZnSe allow wavelength tuning over hundreds of nanometers. Due to various influences, the output of lasers always contains some noise in properties such as the output power or optical phase. Semiconductor lasers (mostly laser diodes), electrically (or sometimes optically) pumped, efficiently generating very high output powers (but typically with poor beam quality), or low powers with good spatial properties (e.g. for application in CD and DVD players), or pulses (e.g. for telecom applications) with very high pulse repetition rates. Special types include quantum cascade lasers (for mid-infrared light) and surface-emitting semiconductor lasers (VCSELs and VECSELs), the latter also being suitable for pulse generation with high powers. Fiber lasers, based on optical glass fibers which are doped with some laser-active ions in the fiber core. Fiber lasers can achieve extremely high output powers (up to kilowatts) with high beam quality, allow for widely wavelength-tunable operation, narrow linewidth operation, etc. Gas lasers (e.g. helium–neon lasers, CO2 lasers, and argon ion lasers) and excimer lasers, based on gases which are typically excited with electrical discharges. Frequently used gases include CO2, argon, krypton, and gas mixtures such as helium–neon. Common excimers are ArF, KrF, XeF, and F2. As far as gas molecules are involved in the laser process, such lasers are also called molecular lasers. Less common are chemical and nuclear pumped lasers, free electron lasers, and X-ray lasers. In some cases, the term is used for amplifying devices emitting light without an input (excluding seeded amplifiers). An example is X-ray lasers, which are usually superluminescent sources, based on spontaneous emission followed by single-pass amplification. There is then no laser resonator. A similar situation occurs for optical parametric generators, where the amplification, however, is not based on stimulated emission. Light from such devices can have laser-like properties, such as strongly directional emission and a limited optical bandwidth. In other cases, the term laser sources is justified by the fact that the source contains a laser, among other components. This is the case for combinations of lasers and amplifiers (→ master oscillator power amplifier), and also for sources based on nonlinear frequency conversion of laser radiation, e.g. 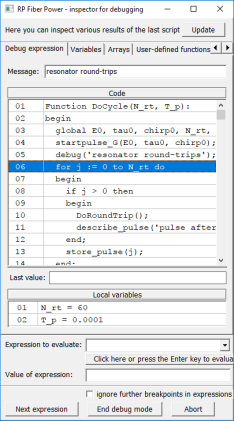 with frequency doublers or optical parametric oscillators. The work with lasers can raise significant safety issues. Some of those are directly related to the laser light, in particular to the high optical intensities achievable, but there are also other hazards related to laser sources. See the article on laser safety for details. 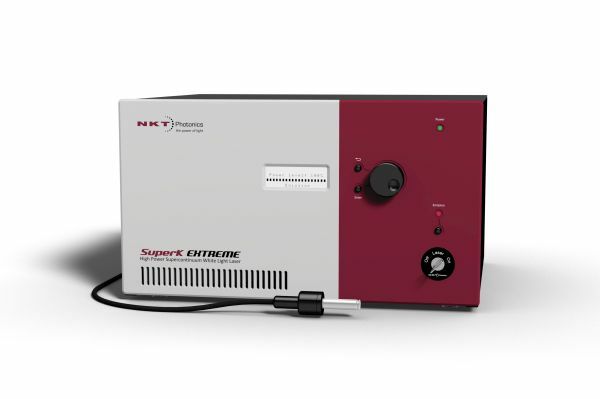 NKT Photonics offers a wide range of lasers spanning from pulsed diode lasers over ultra-low noise single-frequency fiber lasers and scientific and industrial ultrafast lasers to supercontinuum white light lasers. Whatever your laser need, we have a system for you! 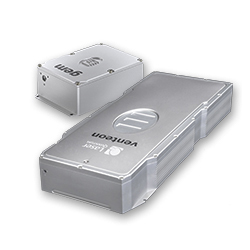 The HI-Q™ Laser houses a proprietary driver/controller and the OEwaves laser source which is based on a high quality factor (Q) Whispering Gallery Mode (WGM) micro-resonator. 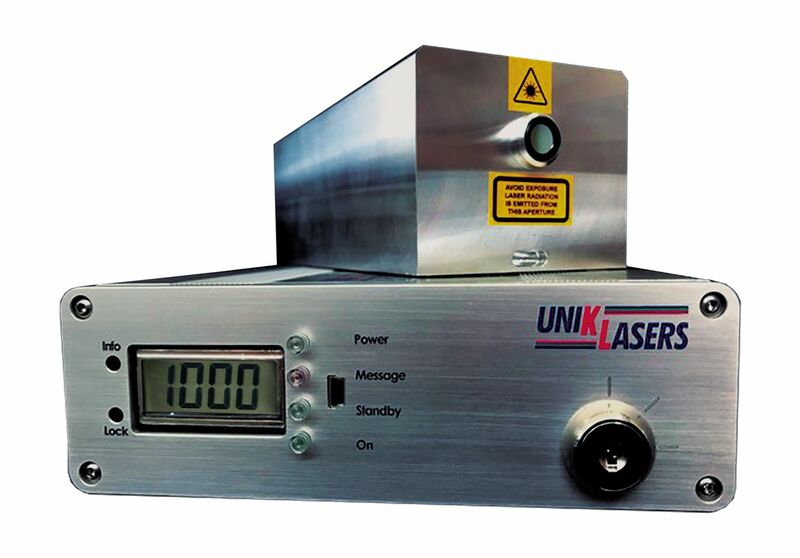 The laser is scalable to a variety of wavelengths in 370–4500 nm. 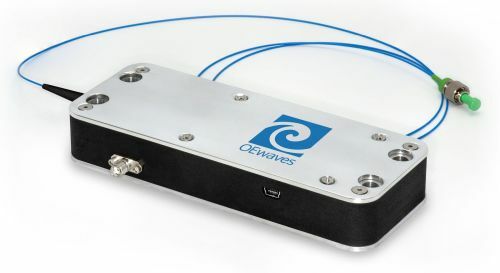 The unique technology of the OEwaves HI-Q™ Laser leverages the self-injection on locking of a suitable commercially available laser diode via a resonant optical feedback from a high-Q WGM micro-resonator. Its monolithically integrated approach along with micro-scale mass and volume make the laser virtually insensitive to environmental vibrations.